California Gov. 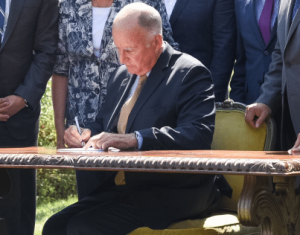 Jerry Brown yesterday signed into law a microgrid bill (SB 1339) that is expected to boost project development in the state and perhaps nationally. Sponsored by Sen. Henry Stern, a Democrat of Canoga Park, the bill has won high praise from microgrid players because it opens the door to utility microgrid tariffs that are expected to create greater cost certainty, making projects easier to finance. The bill also is designed to create more predictable timing for interconnection of microgrids to the central grid. The Assembly approved the legislation in a 54-19 vote August 31. The Senate had passed the bill in a 29-8 vote in late May. As a next step, the California Public Utilities Commission (CPUC) will begin a regulatory proceeding to look at how to translate the law into new rules and possibly programs. Gov. Brown’s signature was not a surprise given that he has publicly stated his support for microgrids and installed one at his ranch. He also has been a strong proponent of climate mitigation and signed several other bills pushing forward clean energy, including a goal to achieve 100 percent zero-carbon electricity by 2045. Given California’s bellwether status in the energy industry, the new microgrid law bodes well for the industry nationally, according to companies and organizations in the space. The microgrid bill is the latest in a series of recent efforts by California to accelerate microgrid development in the state and become an international leader in fostering the technology. 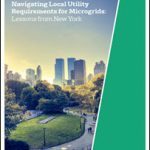 Learn more about California’s new microgrid law at Microgrid 2019: Shaping the New Grid, May 14-16 in San Diego, California. An early bird discount is available now! The California Energy Commission (CEC) this year began allotting about $50 million in grants to boost commercialization of microgrids, a followup to a $26.5 million grant offering in 2014 for microgrid demonstration projects. The CEC also recently issued a report featuring 26 microgrid case studies from California, North America, and other countries that make innovative business cases and rely on government support for less than 50 percent of project costs. In addition, the state is creating a microgrid roadmap to guide policy and regulation.